Are you thinking of getting the Draw Write Now, Boxed Set from us? For now, be aware that some of the books in the set will look a bit different. 6/15/2015 - NOTE: all books are from the same printer now. 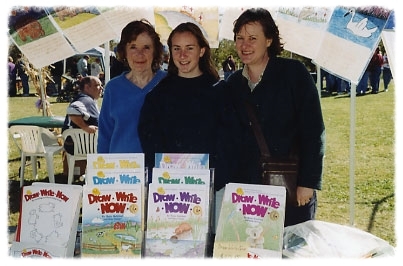 Draw Write Now, Books 1-8, lessons for drawing and writing with children. Draw and write with a child. We create drawing lessons and include writing practice—especially, handwriting practice. This is an introduction to Draw-Write-Now, our eight-book series.